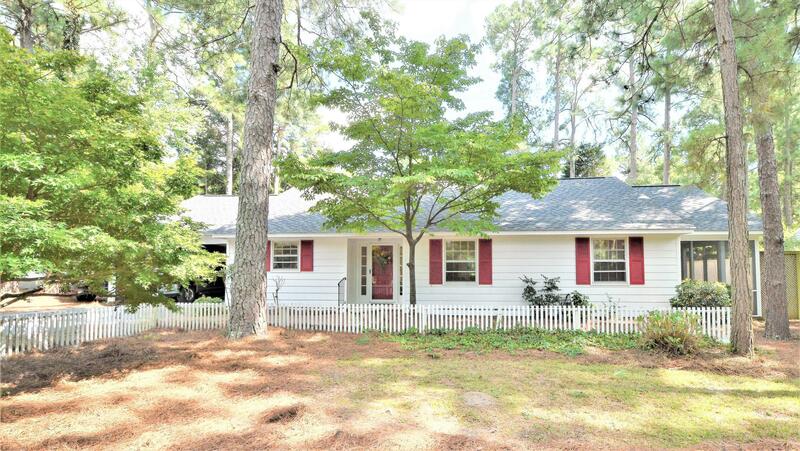 Charming Downtown Southern Pines Cottage with hardwood floors and a wonderful open concept. New kitchen 2012 with granite and stainless. This light and bright home has 3 bedrooms and a bonus room. The screened porch is wonderful for reading or having a cup of morning coffee and enjoying the birds. The fenced backyard has mature landscaping and a patio area with Custom Paver seating area. There is a covered porch with a quaint little workshop.An absolute must see home, this wonderful gem will not last long!